Hermann Gröhe, German Minister of Health from 2013 to 2018 and Member of the German Bundestag was honored with the GSA Award in category I for his contribution to getting the World Health Assembly to adopt the WHO Resolution on Sepsis. Without his leadership and initiative in uniting the German-speaking European countries (Austria, Germany, Liechtenstein, Luxembourg, and Switzerland) the WHO Resolution on Sepsis, which is widely accepted as a quantum leap in the global fight against sepsis, would have been massively delayed at least. 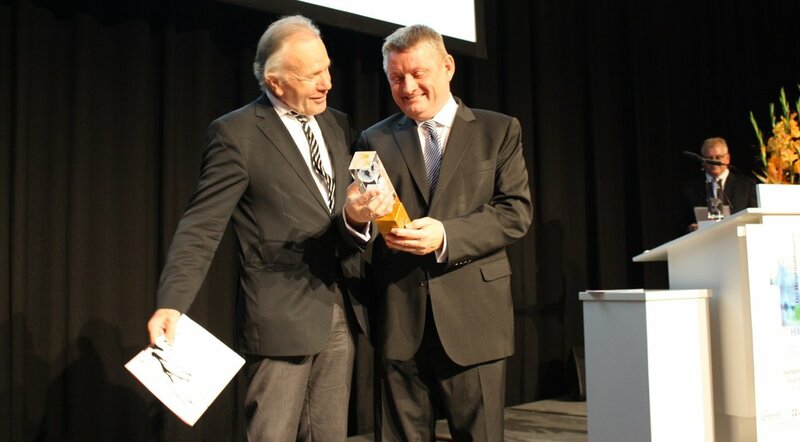 Prof. Konrad Reinhart, Chair of the Global Sepsis Alliance and member of the GSA Awards Jury presented the Global Sepsis Award to Hermann Gröhe at the opening session of the 20th Capital Congress of DGAI in Berlin on September 20th, 2018. Prior awardees in category I, Governments and Healthcare Authorities, were UK Secretary of Health Jeremy Hunt, the Turkish Minister of Health Mehmet Müezzinoğlu, and German Chancellery Minister Helge Braun. Awardees of the Global Sepsis Award are chosen by the GSA Award Jury, a panel of internationally recognized experts in patient safety and sepsis management. The GSA Awards are sponsored by the Erin Kay Flatley Memorial Foundation.